It hasn't been a good week for nature photography this week. 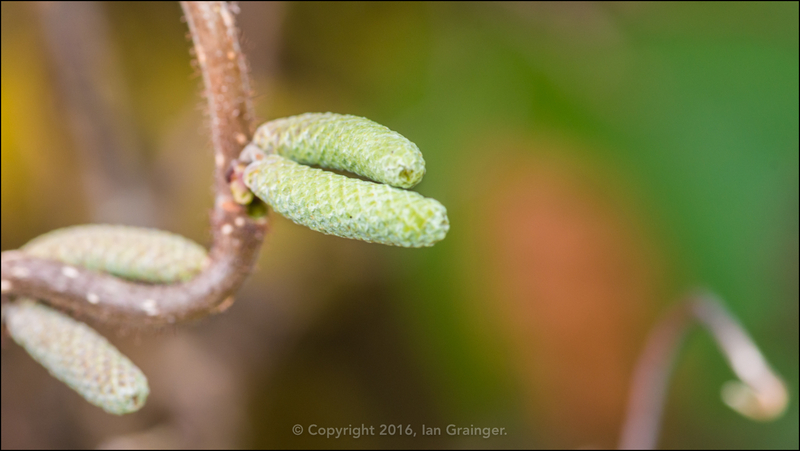 Apart from it being cold, wet and windy outside, I'm currently suffering from an attack of cellulitis, which means that this photographer hasn't been up to much either! 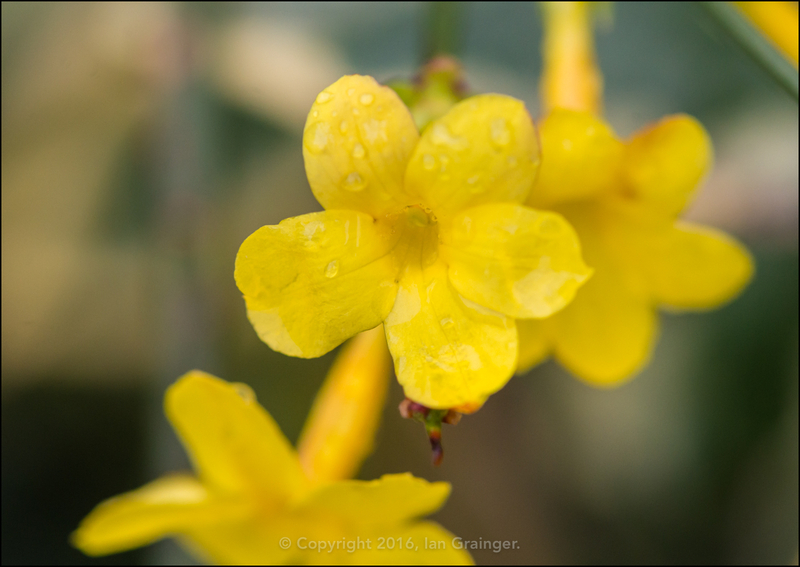 ...while these yellow lovelies are from a Winter Jasmine (Jasminum nudiflorum) shrub. 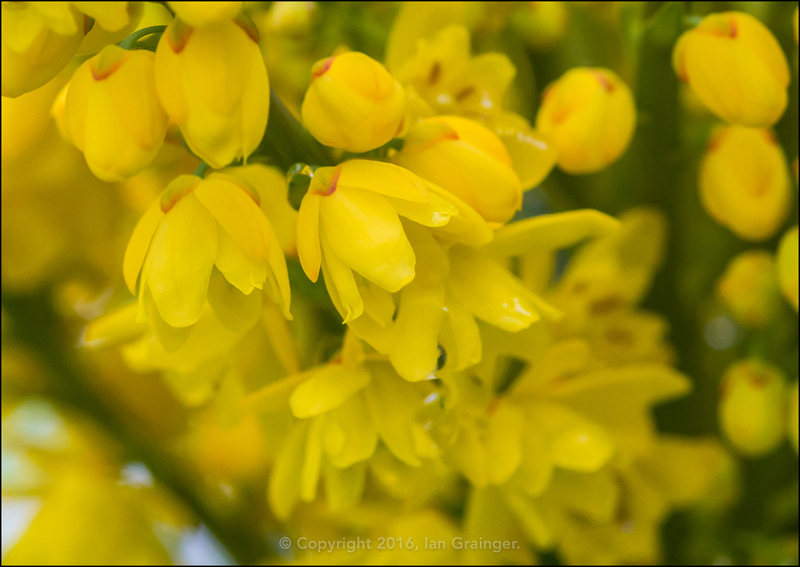 Both the Mahonia and the Jasmine should flower throughout the winter until springtime arrives, so hopefully the winter garden will not be colourless. 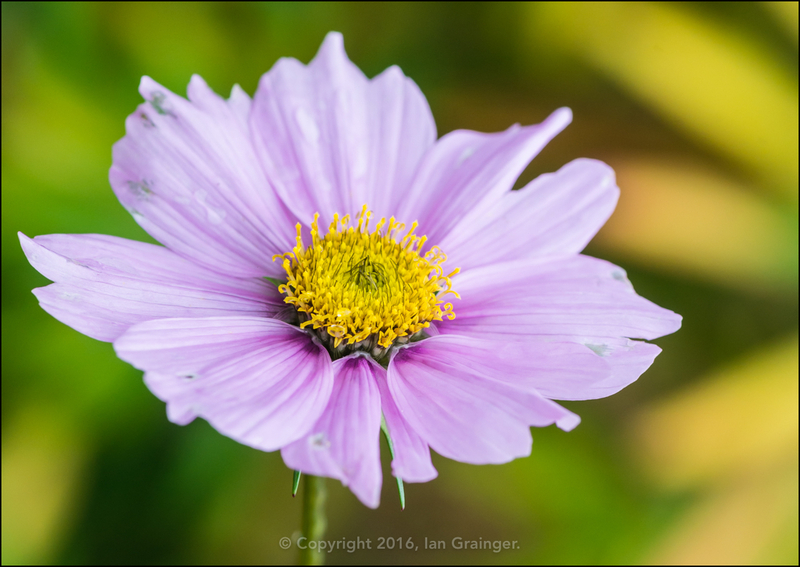 The Cosmos (Cosmea) are definitely on their last legs now, and the high winds have been doing their best to topple the tallest of the plants. I've been very impressed with how these annuals have resisted high wind, torrential rain and even some persistent frosts to hang on for so long this year. 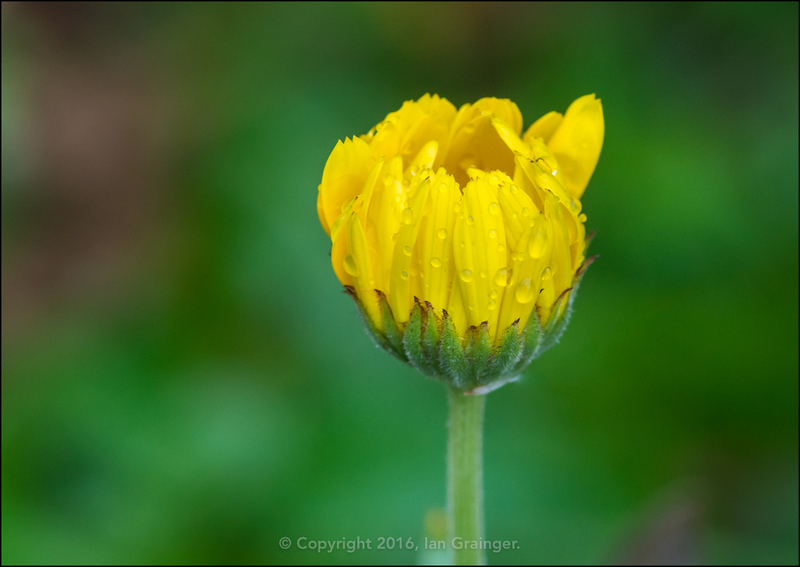 The Pot Marigolds (Calendula) have also had a good run, although this was the last flower bud I could find in the garden at the weekend. 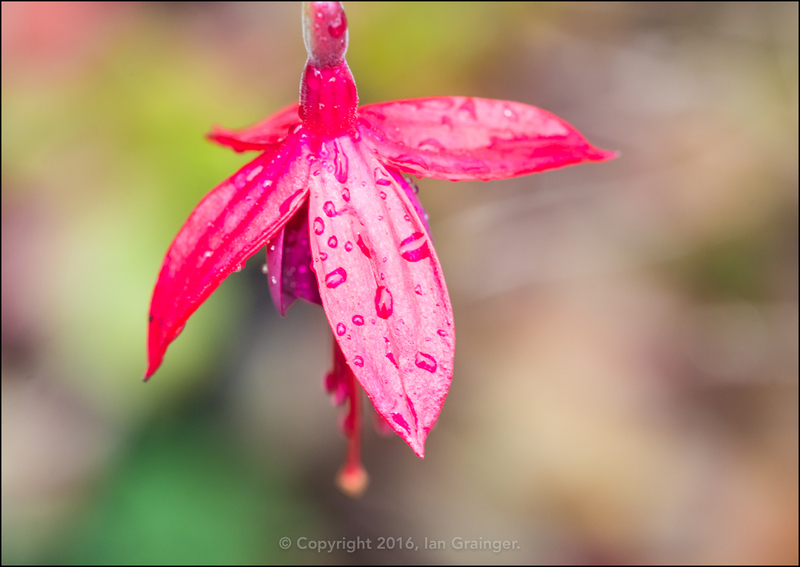 There were still plenty of Fuchsia flower buds left to open, and this particular plant is in a very sheltered location, so I expect that it could still be throwing up new blooms for quite a while to come. 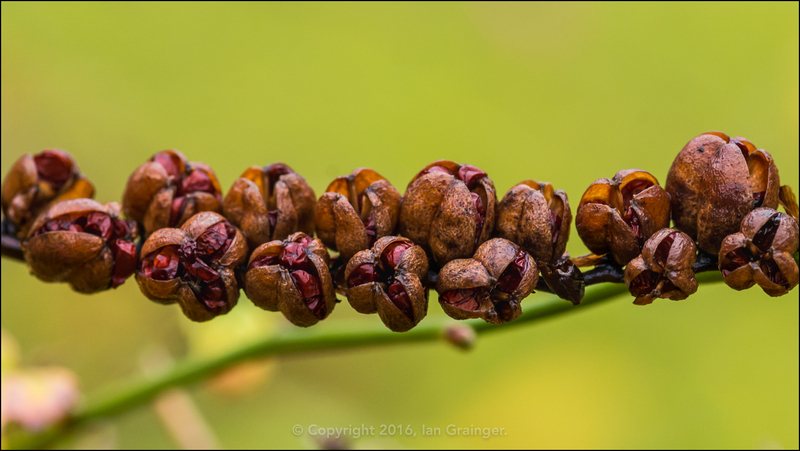 The majority of the Montbretia (Crocosmia) seed pods were finally popping open, releasing their seeds, and will no doubt be producing little plants for next year. I've actually already collected seed and will be keeping it for a project I have in mind next year! 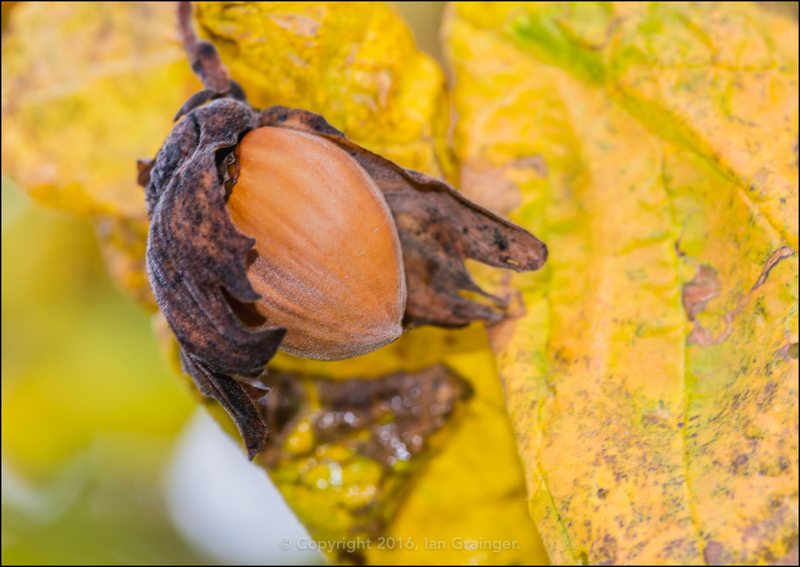 ...and now that quite a few of the leaves have fallen, the previously hidden Hazelnuts have been revealed. I can't see them being there for long though, now that they are in plain sight for the Squirrels to see! 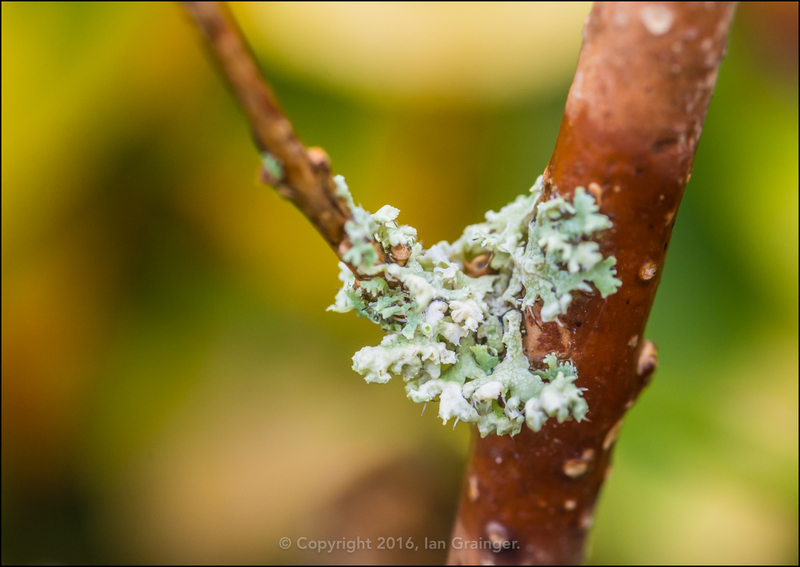 There seems to be a lot of Lichen about at the moment, especially growing within the branches of shrubs and trees. I used to think that it was harmful, and was damaging the plant it was living on, but apparently it isn't. Lichens do not have root systems, so don't absorb water or nutrients from their host. In fact what is quite interesting is that they use photosynthesis, producing their own food, which explains how you often see Lichen growing on walls, stones, and other non-living substrates. So, what of my trusty photo companion this week? 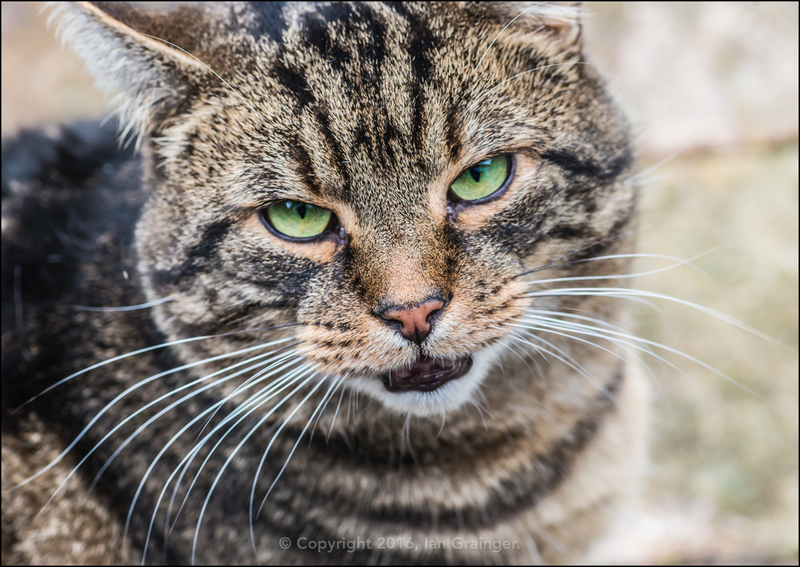 Well, he dutifully followed me as I hobbled around looking for interesting subjects to shoot, but I think he was glad when I returned indoors after only half an hour! 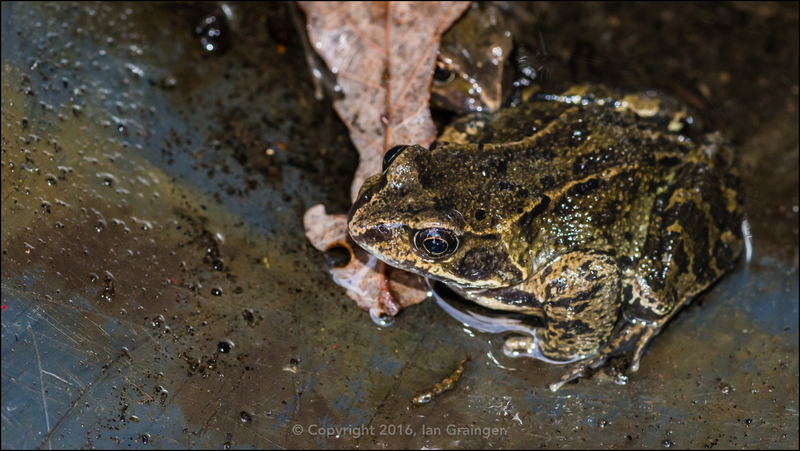 Later in the week, in my own garden, I managed to rescue some frogs that had become trapped in a bucket. These were the final two to make their escape.